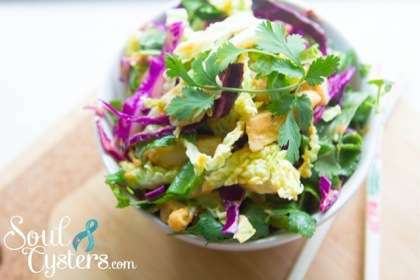 Looking for a simple salad that’s filling enough to be a meal? This deliciously quick recipe is full of veggies, protein, and healthy fats, keeping your GI count low, and your satiation level high! The combination of oranges, avocados, and spicy arugula lettuce makes for a delicious combination of flavors and colors. If you’ve never used sesame oil, it’s easy to find! Just look in the Asian section of any grocery store. The bottle looks like a tiny soy sauce bottle, and both sesame oil and toasted sesame oil adds an irresistible pop of delicious flavor! On four serving platters, place a mound of lettuce. 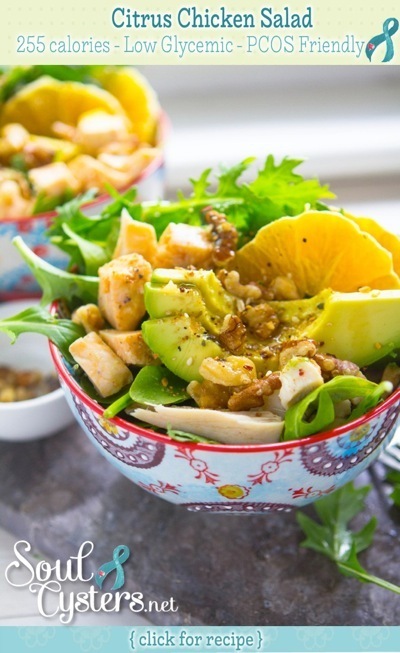 Top with grilled chicken, orange slices, avocado slices, and walnuts. 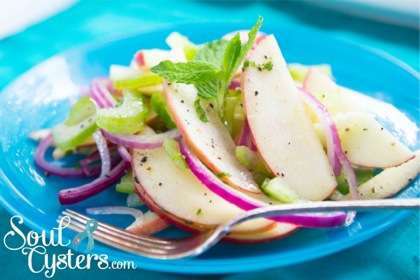 In a small bowl, whisk together sesame oil, soy sauce, lime juice, olive oil, and stevia. Drizzle over salad. Salt and pepper to taste, if desired. Serve immediately and enjoy!